A mini split air conditioning unit is often ideal for those who currently do not have the right ductwork setup to service a central AC unit. Not requiring any ductwork, it is often an effective cooling option to keep multiple rooms in your house cool during the warmer months. The average cost of a mini-split AC unit will depend on the type of unit desired, the number of indoor units, the size, energy efficiency rating, the contractor you hire and your geographical location. When hiring a professional, it’s best to budget at least $2,500 to $7,500, when including parts, with the unit alone often retailing for $700 to $2,200+. Depending on the time it takes to install the unit and the number of evaporators being installed alongside with it, the labor alone can range from $1,000 to $2,500+, depending on the local contractor rates and the extent of the job. For most jobs, plan on the contractor being at your home most of the day for about six to 10 hours based on these factors. NOTE: These are average quotes for a brand name, 16 SEER unit that’s mounted with a heat pump, inverter compressor and basic installation. On Amazon.com, for instance, the most popular units retail for about $500 to $750. If you were to factor in another 10 hours for the professional labor at $100 an hour, you could be looking at a grand total of $1,500+, for example. To install, a contractor will first install the condenser, followed by adding the evaporator mount to mount the evaporator. Once mounted, the evaporator is connected to the condenser, followed by covering the lines to make the final connections, and while the job does sound like a DIY, most recommend you leave it up to a qualified HVAC professional as recessed and concealing units may require additional wiring and/or HVAC expertise. As there can be multiple variables as you can tell, we highly recommend you get as many quotes as possible to make sure you’re not only working with an experienced contractor but are getting a fair quote a swell. We recommend using HomeAdvisor.com, a free online tool that allows you to collect multiple quotes from locally licensed contractors for free. No credit card is needed, and all you have to do on your part is explain the job and watch the quotes come in. One member on this Angie’s List thread said she received a quote for $1,500 just for the installation and wanted to know if the quote was accurate. According to the response, the top responder said it was a deal based on the information she shared. According to one member on this Houzz thread, they were quoted $2,200 for the unit and another $2,500 in installation, making it a grand total of $4,700. The number of units – A mini split is split into two main components: the outdoor compressor and the indoor air-handling unit. 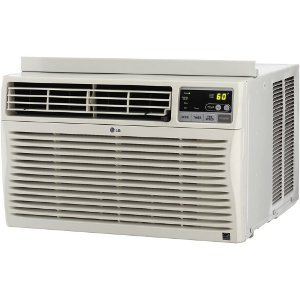 Unlike a central A/C unit, however, a mini-split can have multiple units, essentially increasing the price. As each unit inside will have its own “zone,” the more rooms you want to control and cool, the higher the final costs can be. Size – The size, measured by the tons or BTUs, can increase the costs as the larger the mini-split will be, the more you can pay. Energy efficiency – The system’s rating, measured by its SEER rating, can save you more in electric bills but will cost you more for the unit itself. Labor – As with any professional, the labor will depend on your geographical region and how they charge, either by the hour or as a flat-rate. Extras – In some cases, additional jobs may arise, depending on your current setup. In some cases, removing an older unit can increase the costs as can pouring a new concrete pad for an outdoor condenser and/or creating an opening in an exterior wall for the new unit. Upgrading the electrical wiring to code, if needed, can be an additional cost to consider as well. According to Mission AC, the entire installation cost should include the outdoor unit (condenser), the indoor unit (the air handler), the copper line sets, electrical wiring, electrical disconnect box that meets code requirement, a PVC drain line, condensation pump, wall bracket, condensation sensor, refrigerant, all necessary permits, miscellaneous smaller parts, a new dedicated circuit breaker and all labor. All contractors will vary with their inclusions, so be sure to always ask, in writing, what you’re going to get with your final install price. There are two common types of mini-split AC units on the market: a single zone unit and multiple zone unit. As the name indicates, a single unit will be less in terms of costs but it will only be used to cool off one room only. The multiple zone unit, as you can imagine, will cool off more than just one room, with some units designed to cool off an entire home. Usually, the higher the capacity, the more powerful it can be for your home. A mini-split AC system will move the hot air inside of your home, transport it into the condenser and then release it outside, cooling off your room/s to the desired temperature. In the winter, it can do the complete opposite, reversing the process, bringing the cold air from the inside of your room to the outside, heating your room to the desired temperature. Like other AC units, the mini split unit will also have a BTU or SEER rating, which determines the strength of the airflow. For single units, most are rated at least 24,000 BTU with a SEER rating of at least 17. These units are typically installed on either the higher up on the wall, which is the most common, or suspended, concealed or recessed from a ceiling. As stated in the intro, a mini-split AC unit is a fantastic choice for those who do not currently have ductwork setup in their home and are looking for an efficient way to cool down their home, similar to that of a traditional air conditioning unit. You will not have to retrofit your home, nor will you have to install new ducts, which could cost thousands of dollars, depending on the size of your home. These units, due to the simplicity, often take much less time to install when compared to a traditional air conditioning unit, saving you more money on installation costs. Another great aspect many do not think about is the customization. Depending on the type of unit you want to purchase, you can control multiple rooms inside of your home, depending on the number of evaporators connected and the unit setup. For instance, if you had it connected to three bedrooms and the main living room area, you could program is so that the bedrooms only turn on at night when you’re ready to go to bed, ultimately saving you a lot of money with your electricity bill. Most units today are mounted via the ceiling, not the window, allowing you to hide from the exterior of your home. This can be helpful for two reasons: For one, it can help the aesthetics of your home as some feel the window units look tacky, and secondly, some see window units as a cause of concern for security purposes since some break-ins happen by simply taking the unit out of the window. As with everything, there’s always a drawback and the mini-split air conditioning unit is not an exception. According to Energy.gov, these units are not nearly as efficient when you compare it to a central AC unit. In fact, it can cost up to 30 percent more in electricity bills, even if your room is at the same temperature under the same circumstances. Not all homes are created equal, and for this reason, you may find a contractor may not want to install this type of unit due to the setup of your home. For example, you may not have the space necessary for a unit or the look, even if acceptable, may not be appropriate for some homeowners.